This entry was posted in News on March 8, 2016 . Women Techmakers is Google’s brand and global program for women in technology. Women Techmakers events are designed to promote an environment of inclusivity for women in technology, as well as celebrate women leading the industry. This initiative aims to raise awareness of innovative women leaders in technology and inspire others to join the field. Kicked off in 2012 as a once-per-year event by then VP of Google Megan Smith, Women Techmakers is now led by Women in Technology Advocate Natalie Villalobos and a global team of Googlers who are passionate about empowering women in technology. For the past two years the Women Techmakers team has convened over 200 global events across 52 countries to drive visibility, community, and resources for women in technology in honor of International Women’s Day (IWD). During this time, the organization has also piloted new programs to support and empower women in the industry. One of the results of these efforts was that in 2015 Women Techmakers increased the participation of women at Google’s annual conference for developers and technologists to 23% (up from 20% in 2014 and 8% in 2013). Google’s initiative is driven by the belief that a diversity of perspectives leads to better decision-making and more relevant products, so that everyone stands to gain. Women Techmakers Romania wants to celebrate and support female developers, designers and tech entrepreneurs in our country. International Women’s Day is a day to celebrate the achievements of women while calling for equality within our communities. To celebrate it, WTM Romania hosted by GDG Pitesti, Bucuresti and Cluj will organize an event on March 19th, at Tech Hub in Bucharest with the theme “Our Time to Lead”, as part of a global event series (more details here: https://www.womentechmakers.com/iwd16). The speakers will inspire, motivate and share technical skills and knowledge about opportunities for women in IT, encouraging them to pursue and excel in technology careers. Their presentations will showcase their work and passion and contribute to developing a community in Romania in which women can connect, be inspired, and encourage each other to realize their dreams, as part of a supportive global network. By providing a platform to celebrate their talents and spotlight role models, this program aims to develop industry needed skillsets, aid career development, and support women to become industry leaders in all phases of their careers. 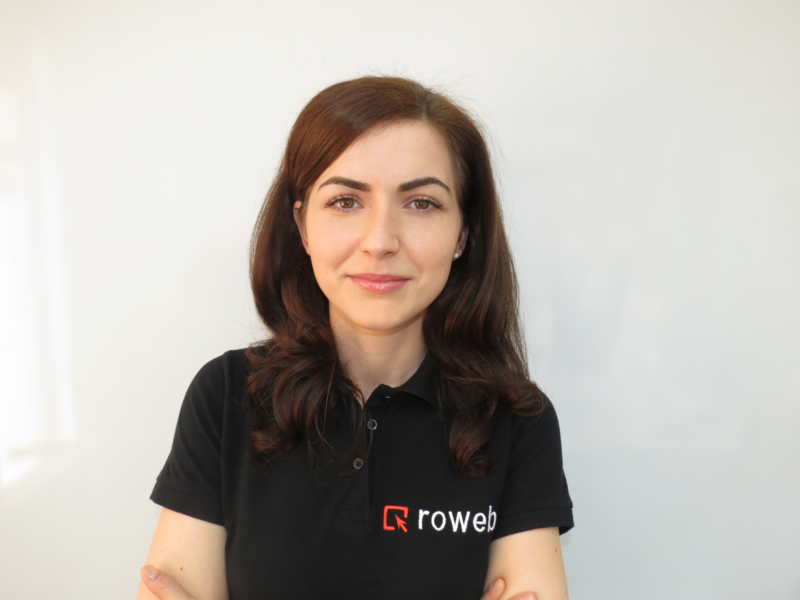 One of the speakers will be our colleague Magda Miu, a senior mobile developer at Roweb with over 6 years’ experience in building Android and iOS apps. As a founding member of both GDG Pitesti and Women Techmakers Romania, Magda has an extensive track record in supporting the developer community. The event is open to all tech professionals and enthusiasts, regardless of gender, who are interested in supporting women in the industry. Attending the event is free of charge, but seats are limited, so you should hurry and sign up using this registration form: http://goo.gl/forms/MeCxfwgn7n. In honor of IWD 2016, we’re proud to show our support and appreciation of Magda, of all of our female colleagues, and all women programmers within our community!